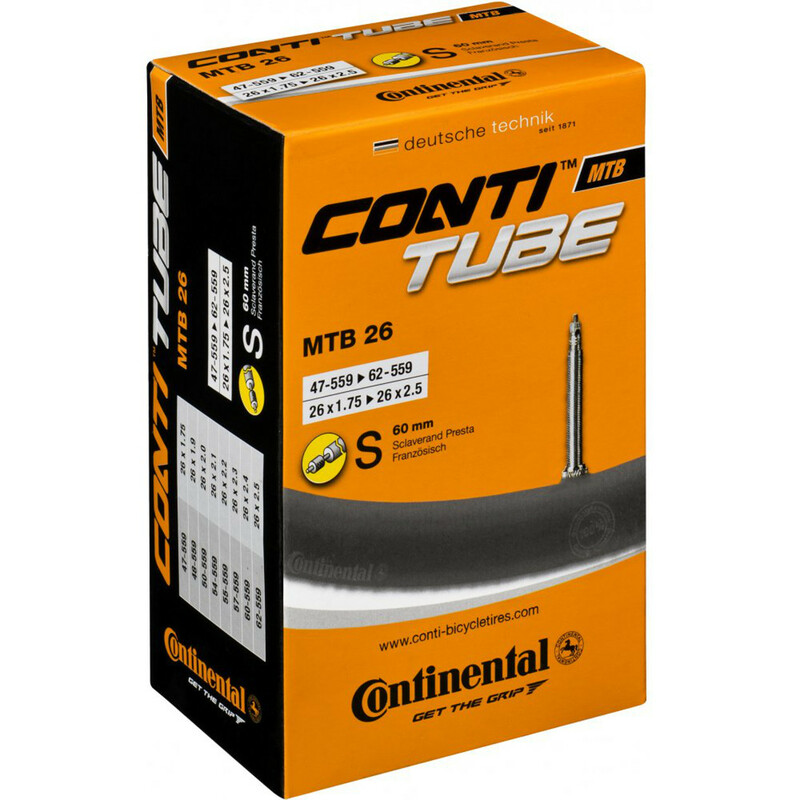 Been using these for a long time now....perfect quality tube.....and I always carry presta as they'll fit as a donated tube to anyone who might need it. Very good relliable tube, maybe a bit heavy. 1.75" / 2.5" 60mm Valve Presta 26"
1.75" / 2.5" 42mm Valve Presta 26"